The Anglican Church in La Palma consists of residents of the island, visitors and tourists. Services are held in three regular churches and chapels throughout the month with additional special services held in other churches occasionally throughout the year. 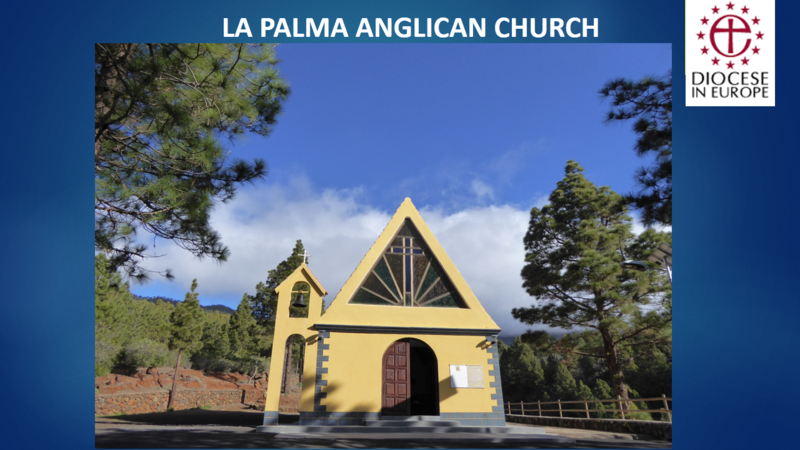 The services are held in La Palma every Sunday at 11 a.m. (except the 5th Sunday in the month, when there is no Anglican service). The services give a warm welcome to all confessions and all baptised persons are invited to receive Communion. The Anglican Church in La Palma belongs to the Gibraltar Archdeaconry; Spain (including the Canaries and the Balearic Islands), Portugal, Andorra and Morocco and is part of the Diocese in Europe. The cathedral of the Holy Trinity is in Gibraltar. The Right Rev’d Dr Robert Innes and the Right Rev’d David Hamid are our bishops. We are officially recognised as an “animal friendly church ” by the Anglican Society for the Welfare of Animals.